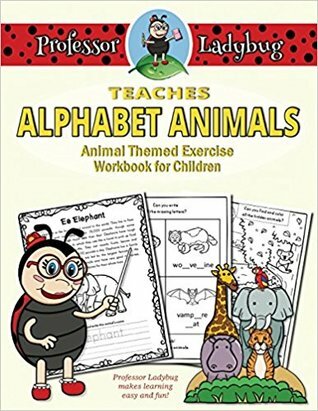 Professor Ladybug Teaches Alphabet Animals is a wonderful workbook and good tool for teachers, parents and caretakers to have for teaching the alphabet. Perfect for kids 2-6, this edition of Professor Ladybug can work for toddlers who are just being introduced to the concept of letters all the way up through kids who are practicing reading and writing skills. Each letter has eight corresponding activities: introduction to the letter with tracing and writing practice, information about an animal beginning with each letter, coloring and practice writing that animals name, practice writing a sentence about the animal as well as drawing the animal, a dot-to-dot of the introduced animal, a letter hunt, practice tracing more animals who begin with the letter, information about those animals and a page to imagine your own animal of that letter. With so many activities, this book can be used for immersive practice or over a longer period of learning. Right now, my son is just being introduced to letters, so I used the first activity as well as the coloring page. I enjoyed the diversity of the animals used, there are so animals that we can find in our habitat, as well as jungle animals, desert animals and marine life. The other sections of the book have more advanced and fun activities such as word searches and fill in the blanks. With a mix of education and fun with a focus on animals that children love, these activities are a great addition to any school or home learning environment. I also enjoyed the certificates that are included, children love being rewarded for learning. What We See In The Stars is a wonderful book with a lot of good information laid out in an easy to read format, great for a beginner astronomer or someone who has taken an interest in astronomy. Laid out in successive sections, the importance of astronomy and our understanding of the stars in laid out and written in common language accompanied by wonderful artistry. The stars are outlined in their importance in history, mythology, culture and science as well as our understanding of what lies beyond. Through reading, I developed an understanding of how we see space from the Earth and how this has developed over time. I was surprised to learn that the Islamic people were among the first to name the stars and their names have been Latinized over time. 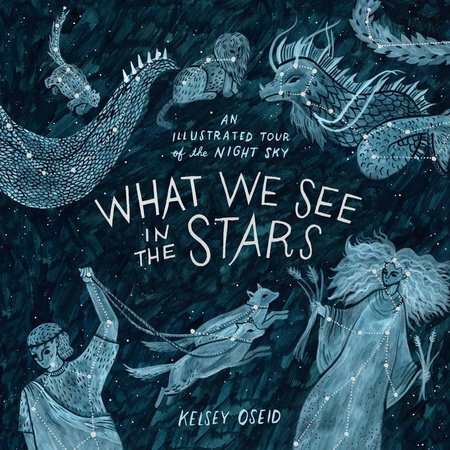 I loved looking through Ptolemy's Constellations and learning their stories along with the stars that make them up and how they fit in with Greek mythology. The modern constellations added many constellations that I had no idea were recognized, such as the microscope, the telescope and the giraffe. The section of our own galaxy, the milky way was intriguing. There are beautiful depictions of the moon, it's phases, geologic features and seasonal names. This section also discusses the sun, seasons, eclipses and goes into detail about each planet. A gorgeous book that encouraged me to get outside at night and look up to see what can be discovered. Received from Blogging for Books in exchange for an honest review. "Thou shalt not suffer a witch to live." This one phrase from Exodus has shaped the lives of countess people throughout history, especially women. 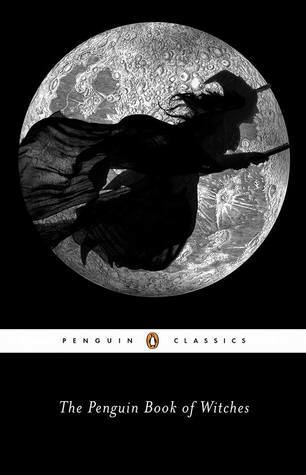 The Penguin Book of Witches is a non-fiction account of Witchcraft from medieval England to the new Colonies. Shedding light on the evolution of the trials of the witches themselves to the spread of fear in the new world, this is a comprehensive view of just how witches were accused and tried in the words of the accused and afflicted. The Penguin Book of Witches examines historical documents and transcripts with explanations for each occurrence within its historical context. While I enjoyed reading about the Salem trials, more interesting to me were the people tried before the hysteria. 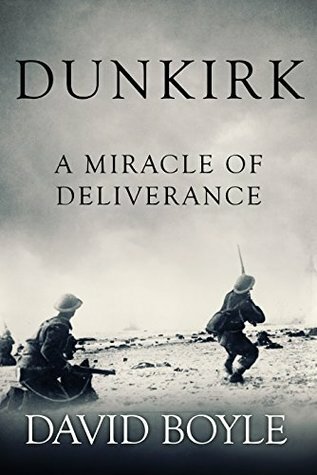 In enjoyed reading these first hand accounts, even as the Old English threw me for a few loops, I definitely needed to keep flipping back to the notes section, but there was a lot of good information back there. Whenever I read about witchcraft, I am always amazed at some of the parallels to persecution of women today. Among the similarities of the women accused were women of poor economic standing, women who were seen as attempting to gain power or women who practiced medicine. Hopefully we can learn from the past and those who call us "nasty women" today won't begin the craziness again. Eileen Pollack was one of the first women to graduate with a degree in physics from Yale. However, her path was not an easy one because of her gender. 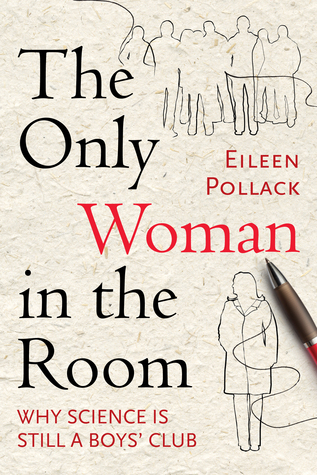 Eileen looks back at her education and and academic career to try and figure out the plight of women in science in her semi-autobiographical The Only Women in the Room. Though there are many more women in the sciences now, women are still vastly outnumbered by men especially in sciences such as physics, math and technology. Eileen examines her childhood and college career in order to use her experience as an example of the problems and internal struggles women in sciences have faced and still may have issues with. In the latter half, Eileen interviews women in sciences currently and sights recent studies about women in sciences to base her conclusions on. As Eileen recounted her struggles throughout her elementary and high school studies, I was amazed at how many times she was held back and her interests and intelligence were discounted. Despite all of that, Eileen was determined to get a degree in physics. She was accepted into Yale and succeeded, but not without many struggles. One of the things that Eileen found out was that though she thought she was doing far worse than any of the males in her classes, she was actually doing much better. Her struggles resulted from many of the males in her classes receiving more encouragement throughout their academic career resulting in the ability to appear confident and belief that they were doing well and had a grasp on the material. Another pitfall Eileen ran into was comfort level being the only or one of few females in many of her classes. Taught by male professors who may also not have been comfortable. This is one of the issues that is carried over to women today and in some cases, I have faced myself. Eileen found that women need steady, outward encouragement and nourishment in their confidence level. Overall, this was an interesting, introspective and eye-opening look at women in the sciences. Kat appears to have it all: She homeschools her three daughters, bakes, creates crafts and has dinner on the table when her husband walks in the door, all done with perfect hair and makeup. But behind the scenes she has embarrassing moments and baby-rearing problems just like all moms do. In Confessions of the Perfect Mom: Baby and Toddler Years, Kat shares some of those moments: being in labor and acting less than polite to the nurses, disasters on the changing table, and a toddler yelling obscenities in restaurant. From her stories of the first days of having a new baby to temper tantrums, the ritual of potty training, sibling rivalry and the first trip to the emergency room, it’s clear motherhood is not for the faint of heart. This witty, honest book offers a glimpse into the wild ride that is the toughest job anyone will love. Kat Ryan has been called the ‘perfect mom’ by many when she goes out with her three daughters. She seems to be the envy of other moms who can’t quite seem to get it together. In this memoir that recounts her three births and raising three girls through their toddler years, Kat lets us in on the craziness, embarrassment, joy and love that can come from motherhood. With a whole chapter dedicated to poop, yes just to poop alone, this book offers a realistic view into what a new mother might be in for. With a stress on the fact that everyone’s situation is different and nothing you do for your child is wrong for you, Kat gives us her down to earth insights on her forays into motherhood. Starting from the birthing process, this book is not for someone of the faint of heart. Kat had three very different birthing experiences that she tells us about along with three very different experiences with her newborns. 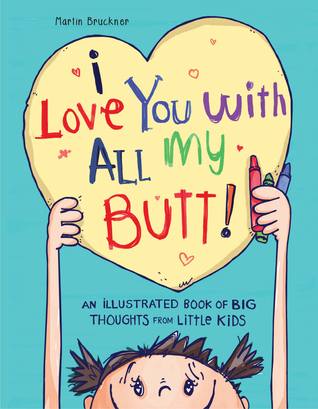 Some of the best advice in the book is the funniest, what went wrong, poop on the walls, milk squirting everywhere, toddlers that simply refuse to be potty trained until their ready, the magic words to stop sibling rivalry and potential trips to the emergency room. 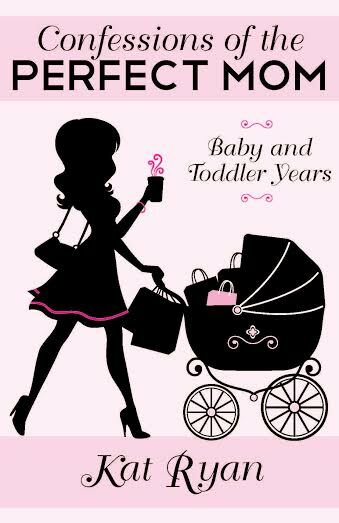 Overall, this book is perfect for any mom or mom to be that needs to know that nobody is perfect, but whatever you decide for you and your child will be perfect. Kat Ryan and her husband, the love of her life, have three beautiful daughters. The successful blogger and author, who was born and raised in Phoenix, Arizona, juggles being a stay-at-home mom; who has also been a working mom and a work-from-home mom. Learn more about her joys (and tears) by reading her blog, www.confessionsoftheperfectmom.com. I don’t often read self-help books, especially one focused on how to obtain money. 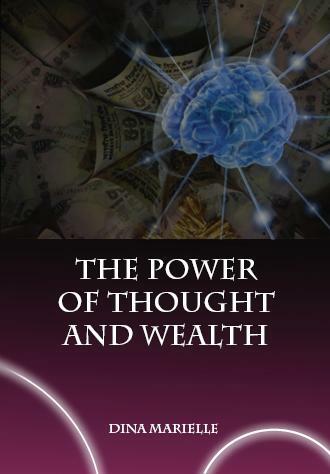 However, when I was asked to read The Power of Thought and Wealth, I figured ‘what can it hurt?’ This book focuses on the Law of Attraction to assist you to remedy a monetary situation in your life. Although, the techniques in the book can be used to bring about any change in your life. The Law of Attraction states that like attracts like and any thoughts you put out into the world can be attracted to you. The author walks you through the process of using positive thinking positive thinking, affirmations, visualizations and using yourself as a tool to bring money into your life. I like that real life examples were given on how to go about each step. I was also impressed that it was explained not as magic, but through using these steps, you would be more open to helping yourself as well as more open to suggestions and influences that are around you. For example, if you write out every day in your affirmations that you are good with your finances and financially safe (even if this is not true at the time, you focus on the positive), then you will be more likely to seek the services of a financial counselor or possibly organize your finances into a budge spreadsheet and see what you can cut. The second half of the book includes an updated version of a book from 1910 written by Wallace Delois, The Science of Getting Rich, which goes through most of the methods that the author had written previously, but is still an interesting read. Overall, a good book for someone looking to change their frame of mind in order to help themselves out of debt or simply earn more money. 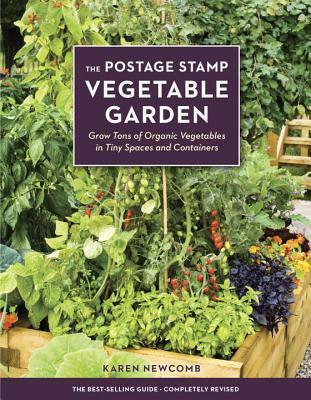 This book is perfect for someone who only has a small amount of space and would like to plant a high-yield, organic vegetable garden. The postage stamp method is for people with as little as 4x4 feet or even container gardens. The author walks you through the steps of choosing a place for your garden, building your soil, selecting plants and how to plant them, natural fertilizers and how to water. I liked that this book encouraged soil health, since every garden needs a good foundation. Another good tip is for companion planting, especially for when you are planting so close together. The most valuable sections of this book for me were the actual garden plans that were shown and the index of heirloom varieties for each vegetable that are best for small spaces as well as tips for each. I may not be a great artist, but I do enjoy drawing and I love dinosaurs. From the very introduction of this book, I could see that it wasn't like other how-to-draw books. Humor is used throughout, but so is good drawing technique and plenty of science! When drawing any animal, I think it is important to know the science behind them and James Silvani provides that without going too much in depth. When drawing your dinosaurs, you'll know if they are lizard-hipped, bird-hipped (or even hipster-hip), you will also learn how to take inspiration for coloring of your dinosaurs from living animals. For the actual how-to-draw parts, I found the directions to be simple and easy to follow (I actually tried my hand at drawing a T-Rex and did ok!) starting with basic lines and working your way up to more detail. I liked that directions for drawing your dinosaurs in more than one position and from different angles were included, so that you could eventually draw more than just a dinosaur standing there. At the end there is also a little about how to draw a background for your dinosaur, so they don't have to be on a blank sheet of paper. A great way to learn how to draw dinosaurs for artists or want-to-be artists!